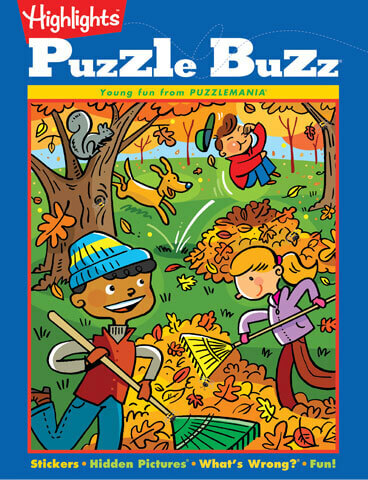 Join the Puzzle Buzz level of Highlights Puzzle Club now for FREE, plus 99 cents shipping and handling! You'll also receive a second book and a tote bag FREE! We'll continue to send 2 more books about every four weeks for just $5.95 per book, plus $2.98 shipping and handling, conveniently charged to your credit card. There is no minimum number of books to buy, and you are free to cancel at any time. You can return any shipment you don't want at our expense and receive a full refund credited to your account. Your satisfaction is 100% guaranteed! Your first shipment will arrive within 2 to 3 weeks. All payments are in U.S. dollars. State sales tax will be added to orders from OH, WI, PA, NY, NJ, FL and CA. For your convenience, your credit card will be billed with each shipment.